How can you quickly encourage people to become followers of your Facebook page? This is the most common question I get from clients. The truth is it takes time to build a new fan base from scratch. From the day you set up a Facebook page, it does require an ongoing commitment to brand, monitor, and network with people who find interest in your product. Besides quality service, it’s important to build close-knit relationships with visitors. If you want to be liked, be likeable first. A disorganized Facebook page can turn off customers instantly. When reviewing a Facebook page, quality content and active engagements are great first impressions. Several other factors people look for before joining a page include the brand itself, consistent posting of fresh information, and active engagement from both fans and admin. You may have just started your Facebook page, but your business is well-established. Encourage your loyal customers to join your Facebook page as supporters, reward them with customizable badges/tabs (to be placed on their profiles for visibility) and special deals for consistent support. A shout-out from a happy customer is a lot more attractive than a marketing slogan, creating irresistible appeal for that ‘Like’ button. If you’ve built a strong Twitter network for your business, utilize it to promote your Facebook page. Some people prefer not to overlap similar social contacts on both accounts, but why diminish your chance to be noticed? Your followers can broadcast your message on both of their social platforms by reaching out to a greater audience about your business. Did I mention that a few indirect promotions on your Facebook personal profile could work wonders too? It’s essential to have a main hub correlating all your social media activities. Your company’s website is the only place that gives you full control over content and brand management. Integrate Facebook social plugins to encourage connections such as Facebook’s Likebox, Like button, and Comment stream. As Facebook visitors increase, your page is more likely to show up on supporters’ news feeds and those of their friends, prompting people to find out more about your business page. If you’re an active participant in a forum or membership site, placing a signature with your fan page link is a plus. No-one will care about your information unless you stand out from the crowd. Be an active helper in a LinkedIn Group or a frequent poster of special tips and tricks. As long as your participation in the niche community is appreciated, there’s a higher chance for other members to check you out. Here’s an example of my signature at Chris Garrett’s Authority Blogger Forum. It’s difficult to start a fan page with no engagement whatsoever. Why not initiate messages to your friends and buddies who are supportive of your business? Ask them to help out in some discussions, reward them with publicity or return the favor. It’s easier to ask a friend than a stranger if you’re worried about spamming people. Make sure the question is interesting enough to get them talking. If you use your personal account and fan page strategically, you’ll discover a huge advantage of getting new friends to be your fans while they’re getting to know you better. A great networking tool, status-tagging, can even drive in new connections. Tag an author or a popular Facebook page to draw attention, but only if you have good reason to do so. 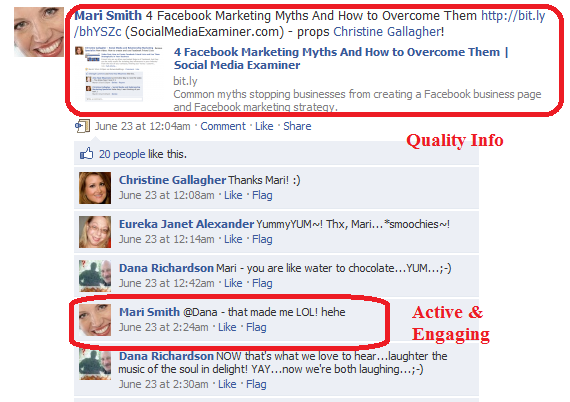 For example, selflessly promote a niche-post and how it benefits people who like your page. Be authentic, and the page admin (hopefully the fans as well) will appreciate you for it. Use the Facebook Directory and Facebook Search to locate other Facebook pages in your niche and look for public discussions based on search terms related to your business. 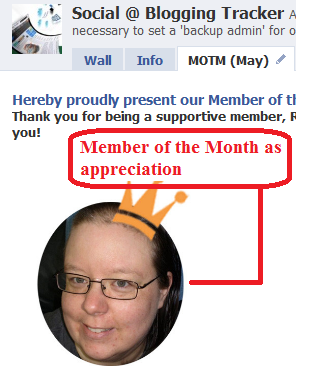 Provide value to the popular pages; build credibility and relationships with the admin and members. Get to know them better before asking them to look at your page. They just may reward you publicly. You can collaborate with other page admins to create a special event that may benefit both your fans and bring in new connections. I find this to be very successful. There should be a mutual understanding and proper planning to make it work for everyone’s professional goals. For example, Social Media Success Summit 2010 was a successful live online conference with 24 social media experts who shared how to use social media to attract quality customers and grow your business. There are many ways you can increase your Facebook fan base. Remember, showcase the quality of your service and why it matters to be a part of your page community. Cut through the noise and let your message be heard. Intelligently apply Facebook Applications to enhance your Facebook page while learning from these superstars to empower your social media presence. Quality networking starts with effort and time, but the return will be worthwhile! What have you done to be “liked”? What rewards have you used? What have you done to increase visitors to your Facebook fan page? Let us know in the box below.